Which of your documents and templates would you like to automate? Go ahead and start with your existing documents, because a dox42 template uses the format of a regular Word document. Daten Which data would you like to integrate? Database, WebService, Excel, XML or SharePoint. 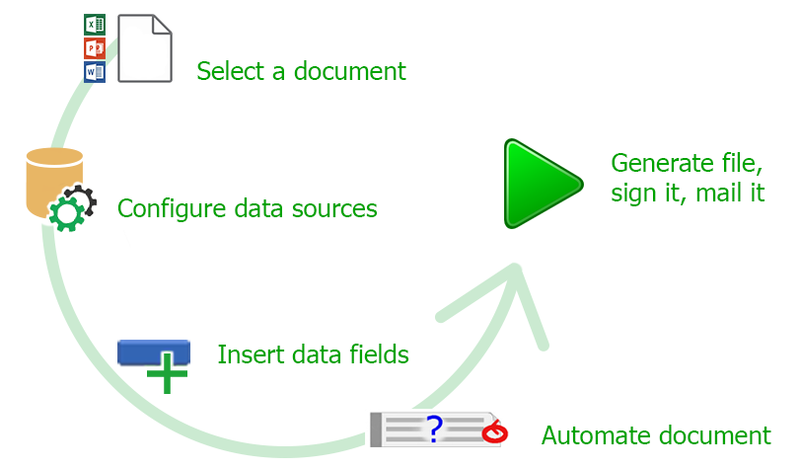 You can configure your data sources using the Data Map Designer of the dox42 Word/Excel Add-In. By doing this you can filter and sort your data. The dependencies between the data sources are handled by dox42 automatically. Your proprietary data sources can also be integrated into dox42. Use the dox42 Data Field Explorer to simply insert data fields from your data sources into your dox42 template by just a mouse click. Your data fields can be formatted as text, number, date, picture, chart, bar-code, hyperlink, RTF or HTML. You may also insert whole PDF- or Word-documents. Set conditions for document areas. Automatically fill tables and lists with data from your data sources. Link your reusable text modules in your templates. 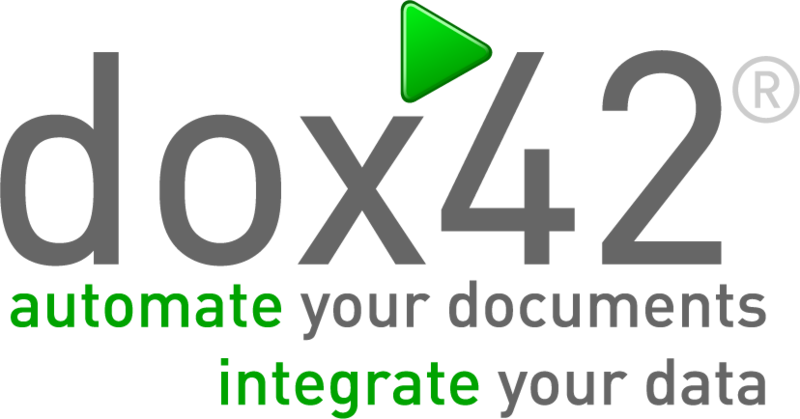 Generate and send single or bulk letters with dox42 Word/Excel Add-In, dox42 Server or dox42.Integrated. 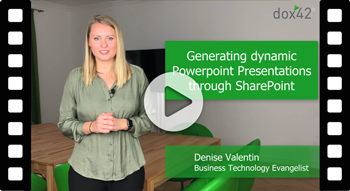 Examples for this are sending a signed PDF document automatically per mail or checking into SharePoint. Having designed your template, you can now always generate your documents immediately!